3 envelopes: 1 white/ivory square-flap with envelope printing & envelope liner; 1 unlined color pointed-flap envelope with monoline address; 1 lined color pointed-flap envelope with calligraphy address. Sadly, samples are pre-printed and cannot be customized with your wording. If you spend over $1,000 with us, we will reimburse you the cost of your samples. *Shipping is free! 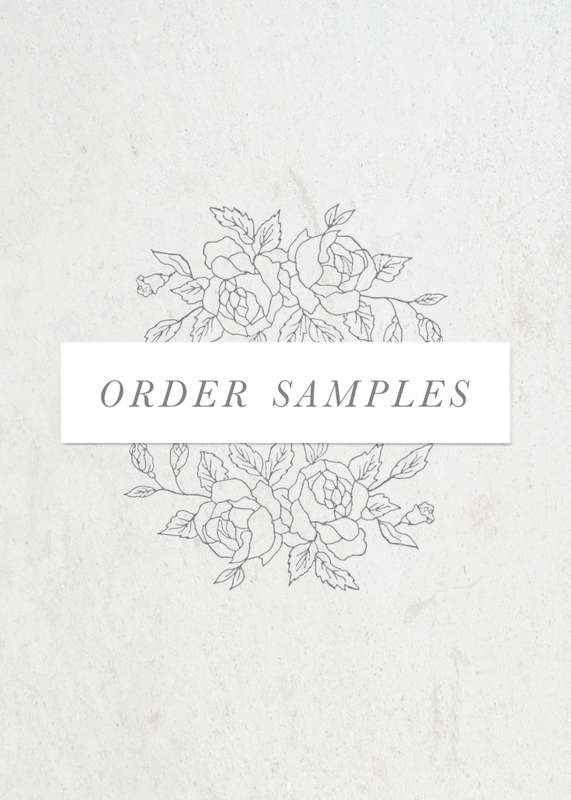 We will send your samples via USPS First-class mail.